There's good and bad news for women hoping to break through the glass ceiling. The bad news is that women are more than twice as likely to be underrepresented as overrepresented in company succession plans, according to an Internet survey of 3,100 human resources executives by Novations Group, a consulting and training organization in Boston. The good news is that women -- with smarts, courage and sound advice -- can change that by getting promoted and rising to the top. Your boss will do whatever it takes to keep you on board if you make her look good by producing work fast and well. By finishing grunt work, identifying and solving problems, and improving or creating services and products, you will have an advantage over the competition, says Bruce Tulgan, founder of RainmakerThinking, a Connecticut-based consultancy group. "Every single skill you get under your belt, every single relationship you build with a decision maker who knows you're valuable, every single ounce of strength you add to your brain, body and spirit become cards in your hand," says Tulgan. "Those are chips in your pile that you can use to trade for rewards in your career." You can make yourself valuable in tangible ways, such as learning a relevant foreign language, picking up technical skills or producing top-notch research. Possessing soft skills -- ranging from the capacity to learn quickly to the ability to communicate -- doesn't hurt either. Instead of networking in the traditional sense, use the skills you have to make yourself valuable to someone with whom you'd like to build a relationship, and then maybe she will be more willing to help you in the future, says Tulgan. One of the main differences between men and women is that men tend to speak up about their career goals, and women think their performance will speak for itself. Ladies, you're wrong! "The one who usually gets the promotion is the one who wants it most and asks for it," says Lee E. Miller, managing director of NegotiationPlus.com, an educational group in Morristown, New Jersey, that teaches negotiation strategy to leaders. Miller suggests asking your boss what you need to do to qualify for your dream job. Then put those suggestions into action. If you've performed well on those tasks and your boss is satisfied, consider asking outright for a promotion. If you can, make sure your boss is in the right mindset before initiating the conversation, adds Miller. Many of the women who have had the most success took nontraditional paths to the top. Laura Mete Frizzell started her career in insurance and then moved into advertising where she landed gigs that had her trying to understand how the Internet would impact the industry. In the mid-1990s, she found herself developing the online media department for Deutsch Advertising in New York City. Today, she's an MBA and vice president of media services at 360i in Atlanta. She credits her success to her willingness to shift careers and be a pioneer in a field no one understood. You can do the same by following opportunities, not being rigid when considering your next move and taking chances. Have a great idea about a role you could fill for your company? Research it, write a proposal and present it to your boss. The company might be game. If nothing else, your superiors will notice your willingness to take initiative and make a statement. As a result, they might remember you the next time they're giving out bonuses or promoting people. Having a sense of humor and refraining from taking yourself too seriously is an important part of succeeding in the workforce, says Sara Blakely, CEO and founder of Spanx, the innovative lingerie company based in Atlanta. "Laughing attracts people and will help get you promoted." You'll have an easier time getting ahead if you're a pleasure to work with. "If you have a reputation for being difficult, rude, unethical or unreasonably demanding, then you will inevitably be passed for someone who creates less friction on a team," says Jennifer Kwee, product marketing manager at Motorola in Libertyville, Illinois. Being likable requires you to be happy. Feeling satisfied and fulfilled means finding balance between your personal life and work as much as possible. Getting burned out won't help you get promoted. In fact, it just might hurt your chances of moving forward. Enjoying your work is a great motivator. "You can't sleepwalk through your job," says Carol Kuc, president of the National Association of Women Business Owners. "If you have passion, you'll give your work full attention, and you'll find success." 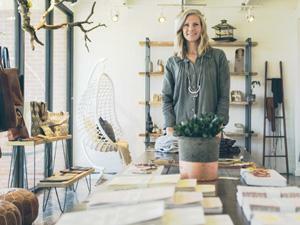 For more than 10.5 million women, finding a labor of love meant starting their own business. But finding your passion also can translate into acting entrepreneurially at your existing company. Present new ideas, take ownership of projects and increase your responsibilities. Sooner or later, that kind of devotion will lead to a promotion -- maybe even two or three.